A full-scale prototype of a barrel-vaulted stone structure. 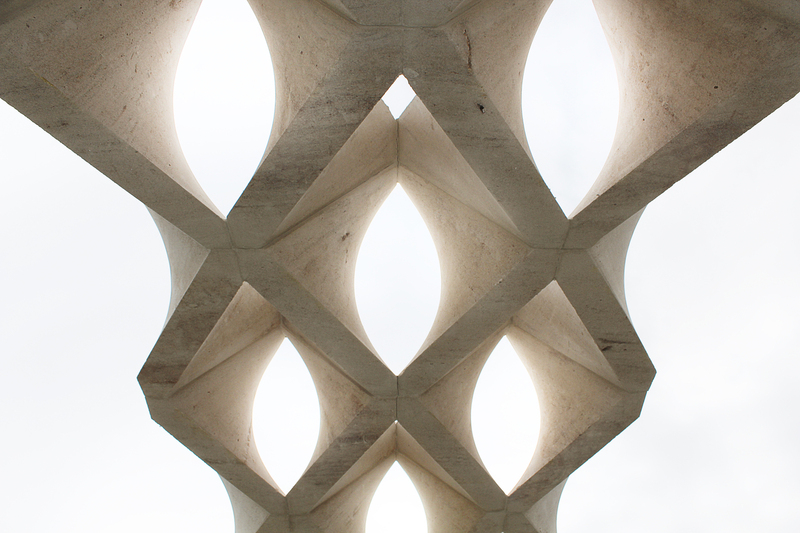 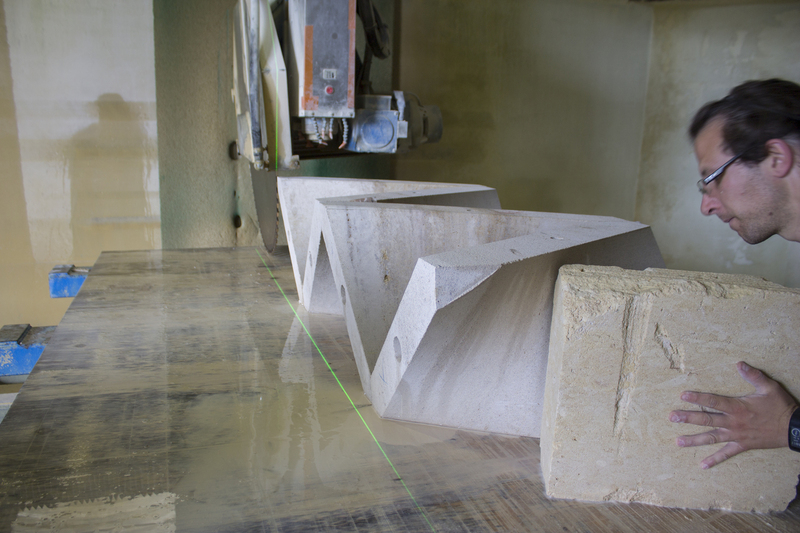 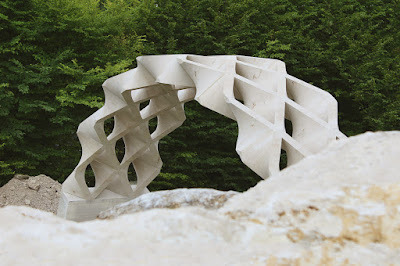 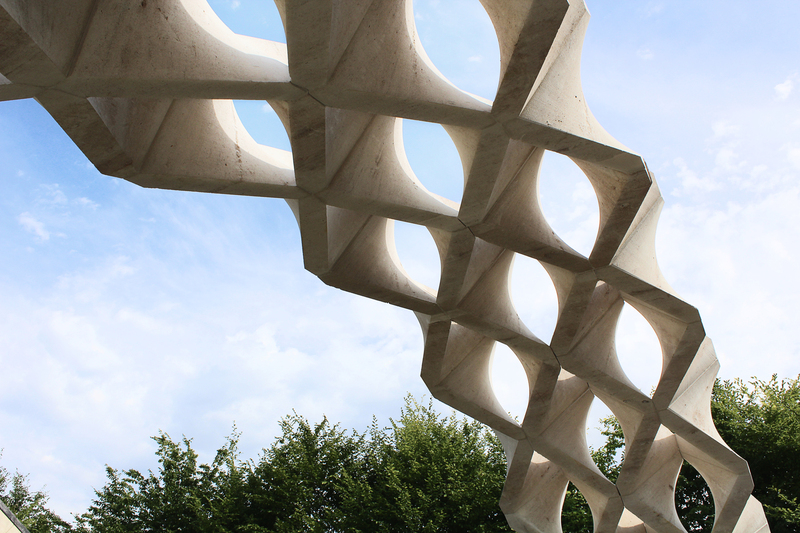 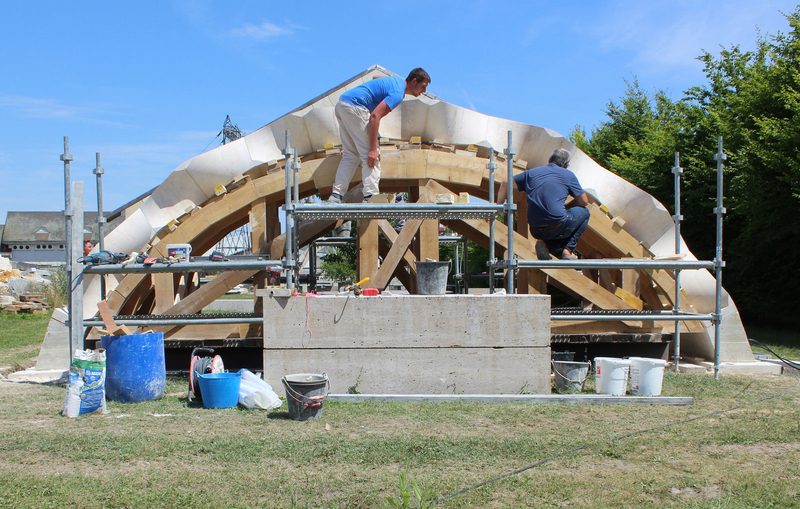 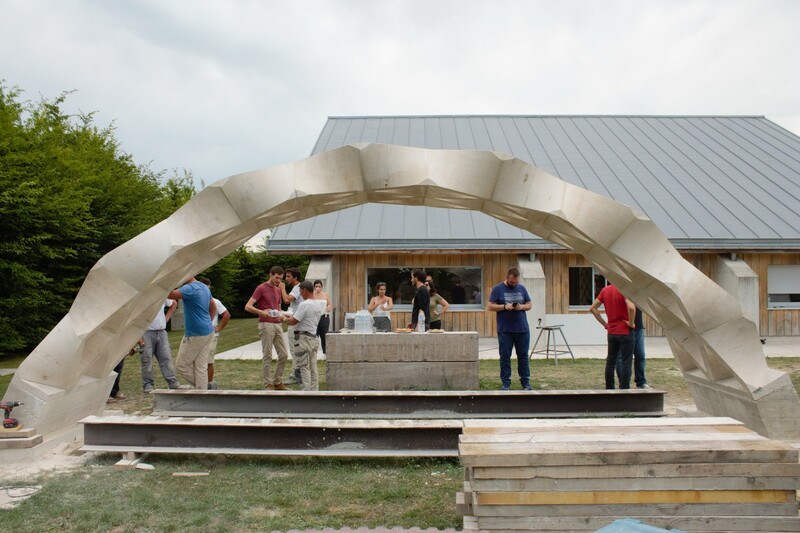 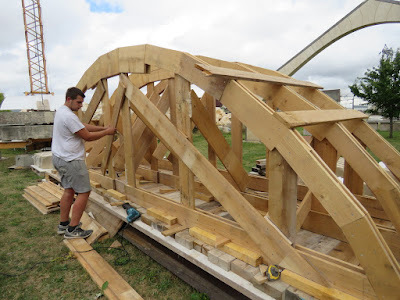 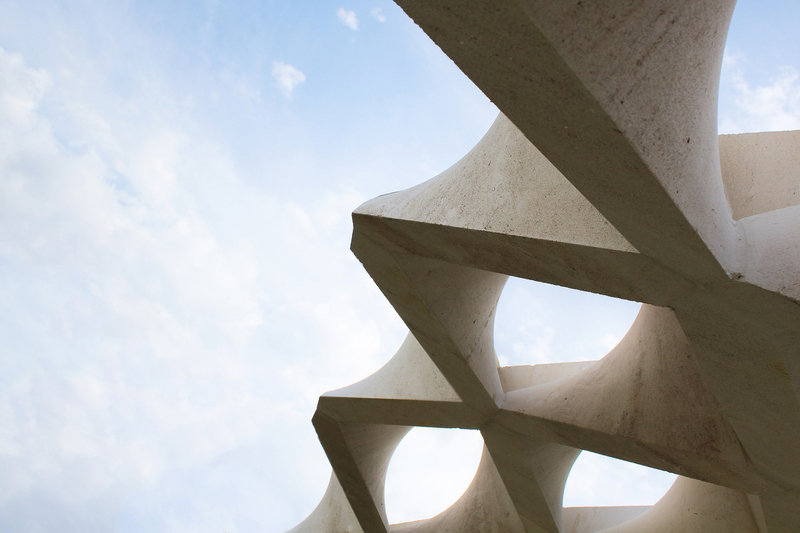 Italy-based New Fundamentals Research Group recently designed and built a full-scale prototype of an experimental barrel-vaulted stone structure for SNBR, a French company that specializes in cutting-edge stone construction. 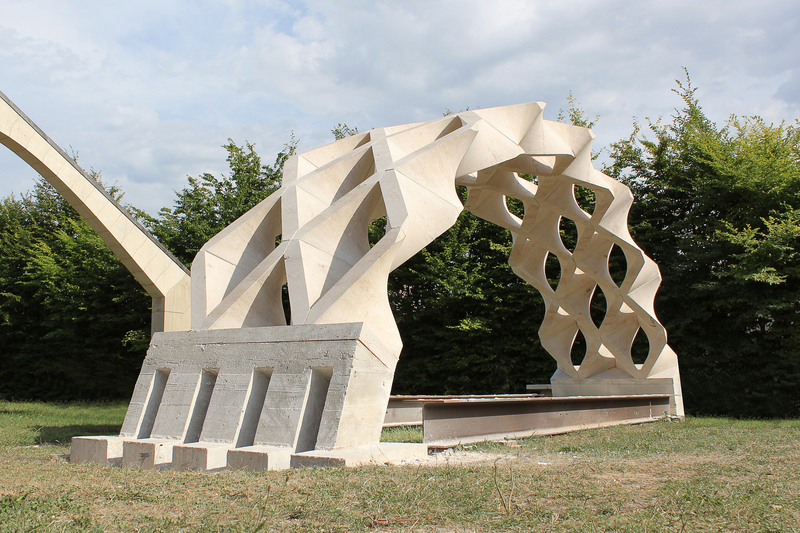 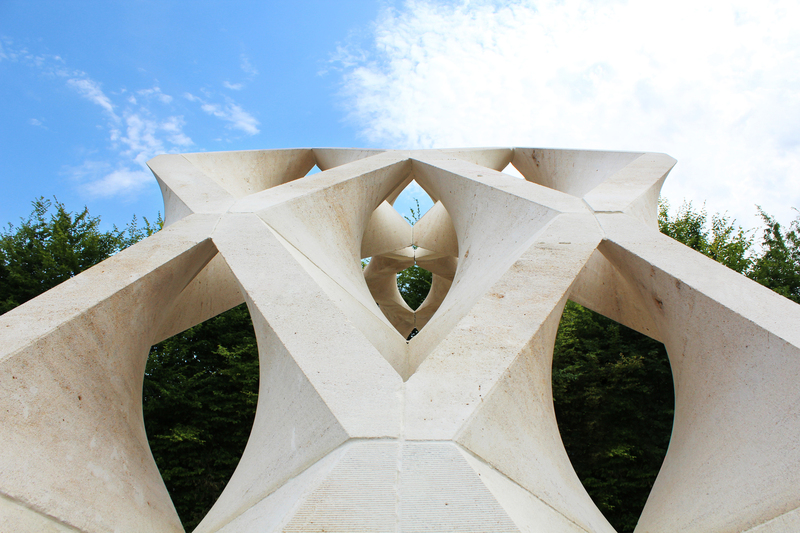 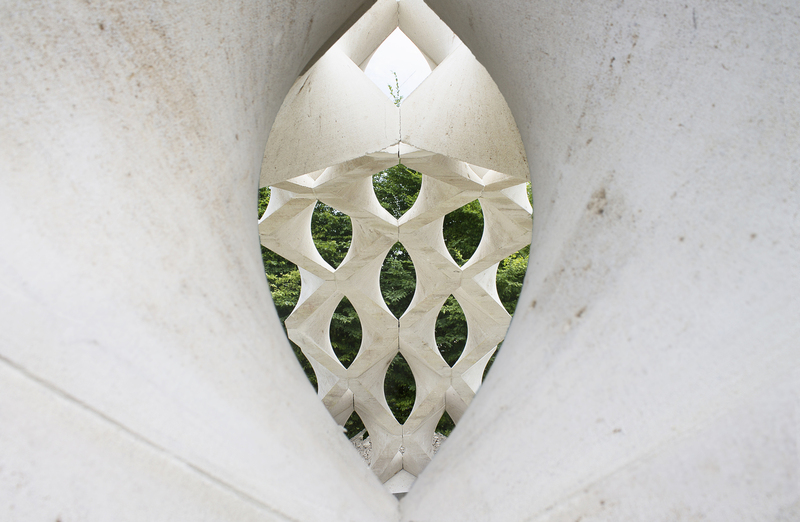 The structure is named Hypar Vault in a reference to the geometry of its constituent blocks; it uses two types of prefabricated stone modules—one type is the mirror image of the other—whose designs are based on the hypar (hyperbolic paraboloid), one of the only "doubly-ruled" surfaces in geometry. The use of these configurations allowed the vault to be constructed with almost zero wasted stone.